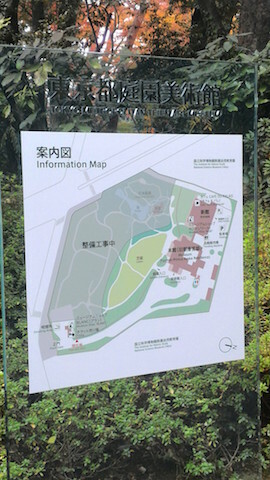 Tokyo Metropolitan Garden Museum in Minato Ward! 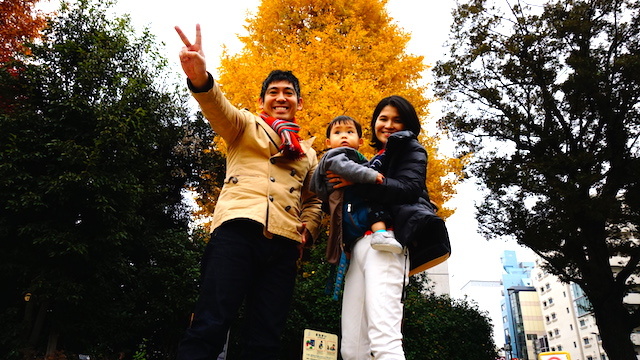 That’s right, let’s go see the autumn leaves! 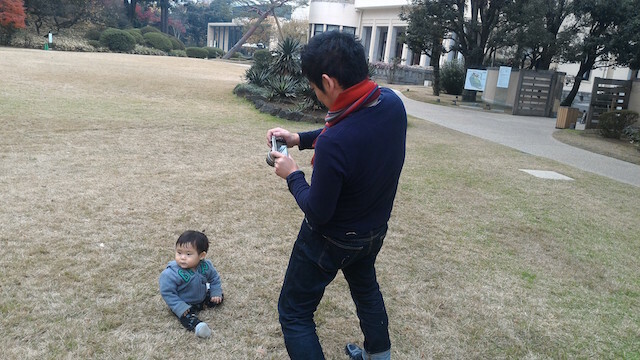 … … so we went to the Tokyo Metropolitan Garden Museum for half a day off! 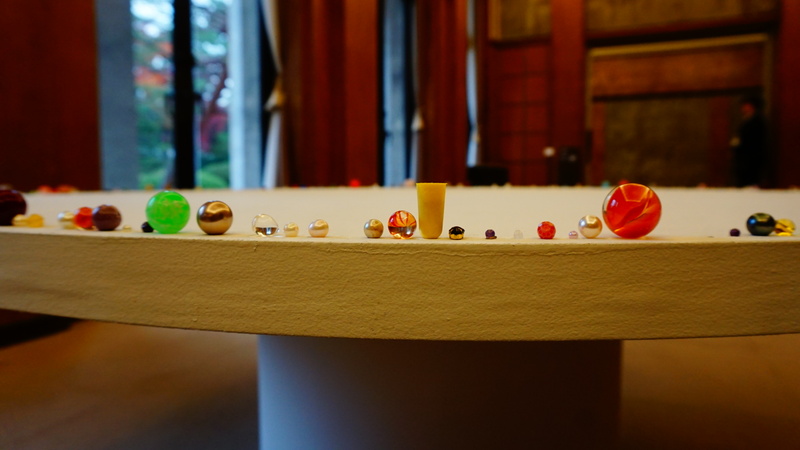 Until December 27, 2015, a Swiss jewelry artist, Otto Kunzli exhibition was held. The autumn leaves of the lawn is at its best! 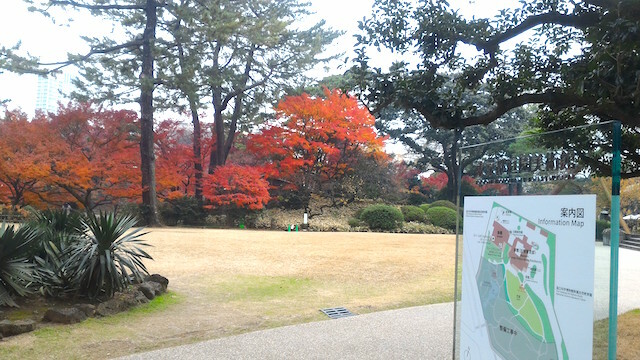 Bright red trees! Along with the evergreens’ greens, furthermore the sky opens wide open, it is a pleasant space! 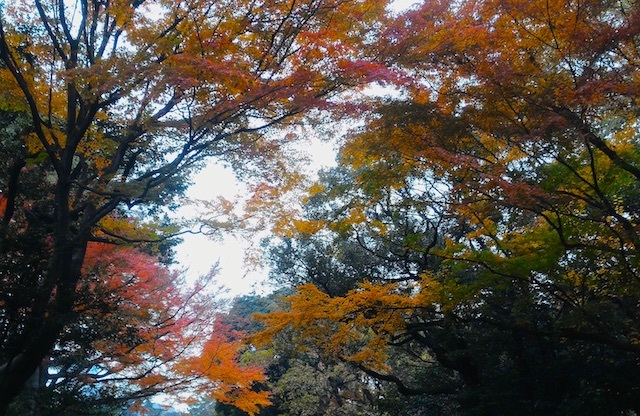 I look at the trees that surround the grass. Let ko-chan sit on the lawn, photography time! It is mostly charter! Family picture with timer! 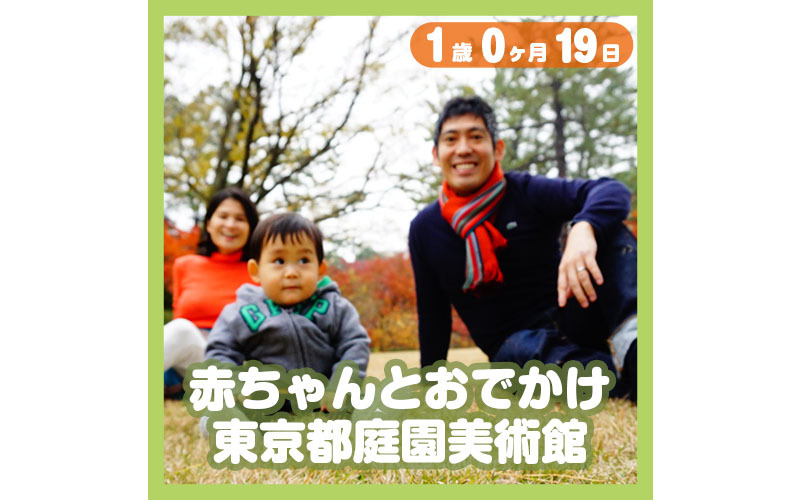 Three people sitting on the turf and the portrait of ‘koreshiba’ is completed! Gingko is also yellow and beautiful! 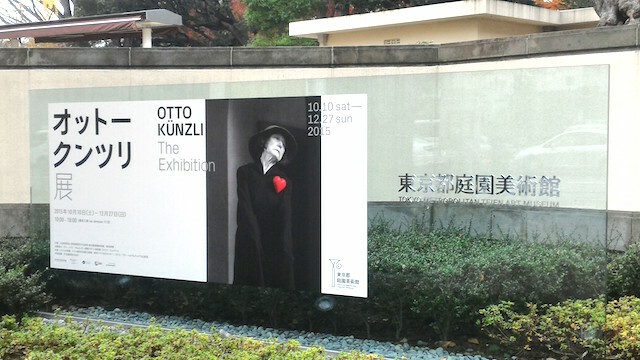 Watch Otto Kunzli Exhibition at Old Asaka Palace House! 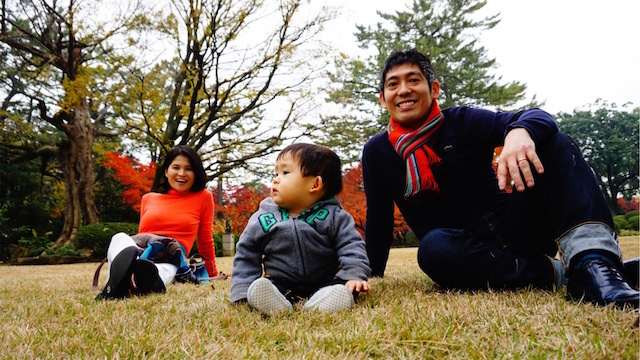 To the Western-style building where the Miya family founded in the Meiji era spent. 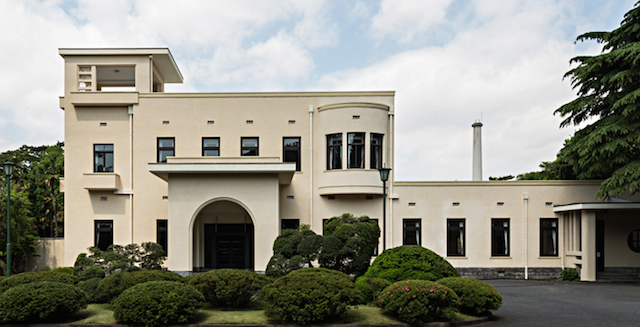 It seems that it was used as a guest guesthouse, but it was opened to the public as a Tokyo garden museum since 1985. We were allowed to film some of the art. It seems that it expresses a big necklace by arranging the pearls (round things) that the audience was crowded with. Do you understand? Objects placed by bamboo …… (Everything comes in value as it changes or becomes an aggregate, by the way, I brought the objects I brought back home. 「“Otto Clints”, it feels like contemporary art. Well, I do not know each piece honestly, but it is good to see it including the space. Yeah, by the way, who country is Otto · Clintz … …. Correctly it is Otto Kunzli.